Well, well... it HAS been a while, hasn’t it? To quote the great John Lennon “Life is what happens while you’re busy making other plans”. So my apologies to our regular readers for the lack of well, anything, here on the site, and I'll leave the explanations for another day. But, it’s October, it’s Halloween and there have been a whack of things piling up, so without further ado, here’s a quick rundown of stuff that’s coming up for the Horror Fans this month. Tonight, the ChiSeries presents the launch of Postscripts to Darkness 4 including a reading by sometimes OH scribe Lydia Peever. Everything gets started at 8PM at Maxwell’s 340 Elgin St. Admission is free, so check it out. Our friends at the Mayfair Theatre have a whole bunch of cool movies including Shaun of the Dead, Alien and Aliens, Hell of the Dead, Rocky Horror, and two special presentations... You’re Next, presented by our fiends at Zombieinfo.com on Oct. 28th, and a special double bill of two of the best classic horror films - The Exorcist and The Shining, on Oct. 22nd brought to you by, who else, Ottawa Horror! We’ll have more details to follow. And of course it wouldn’t be Halloween without a Killer63. The festival showcasing Ottawa horror filmmakers as well as international films will be held on Oct 30th. Check out the Mayfair’s schedule for all the details. The annual Ottawa Geek Market is coming up Oct. 19th and 20th. 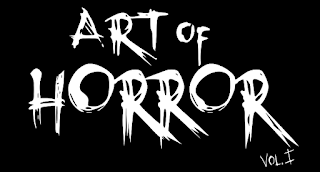 OH will be there in Horror Alley along with our friends from Zombie info and special guest Carnival Diablo! If it’s October, well it’s the Zombiewalk! This year’s event is brought to you by Chez106, Audrey’s costumes, Zombieinfo, and a little help from us, and will happen on Oct. 27th. I’ll have full details on the site shortly!